To add a Menu page go to the DESKTOP application and enter in the “Edit page”. 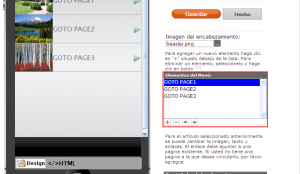 Click “Add new page” or “+” button, then select “Menu” in the list of available pages. An aggregate time you can go to edit the page. Then you can add as many items to the menu as you need, just make sure that all other pages are linked to each list item. In the “Menu Options” section, you can click on the “+” button to add more items to the menu. Below you can find the Properties section of the elements. 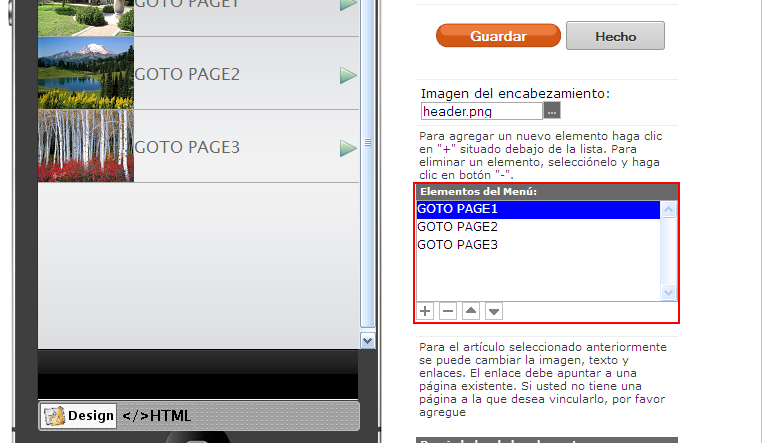 Here you can change the image, title and link of the selected item in the “Menu Items” section.